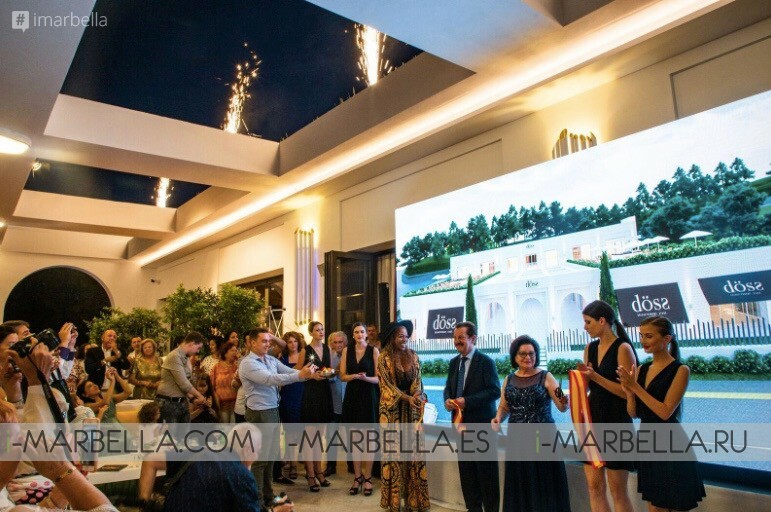 Da Bruno Group has opened its new döss restaurant in Marbella with a premier fusion dining, live music, and cocktail party celebrated with two unbeatable evenings on July 29th and 30th, 2018. 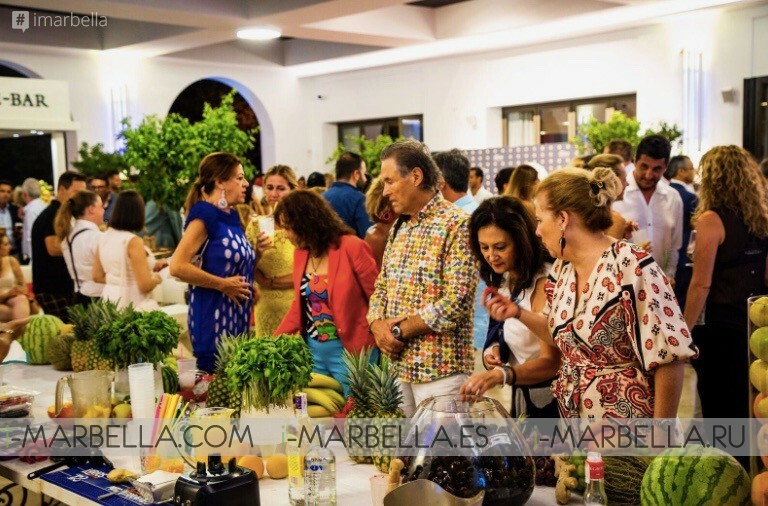 More than 800 people joined the inauguration of this great gastronomic concept that was officially unveiled during 'two' consecutive days to the Marbella social elite. A grand launching in style of two evenings has been a great success for Bruno and Giuseppina Filippone from Da Bruno Group. Bruno and Giuseppina Filippone began working more than four decades in the world of restaurants Italian cuisine. And in 1994 they fell in love with one of the most attractive areas of the Mediterranean, Marbella, Costa del Sol' capital. They settled and moved all their culinary experience to create a new concept in Marbella that combines two incredible culinary aspects. The uniqueness of Döss is to combine 'two' completely different gastronomical concepts ‘Mediterranean’ and ‘Asian’, in the same restaurant but in 'two' perfectly differentiated spaces. The best of both culinary cultures is framed in 'two' rooms joined by an open courtyard that exudes elegance, design, and distinction. 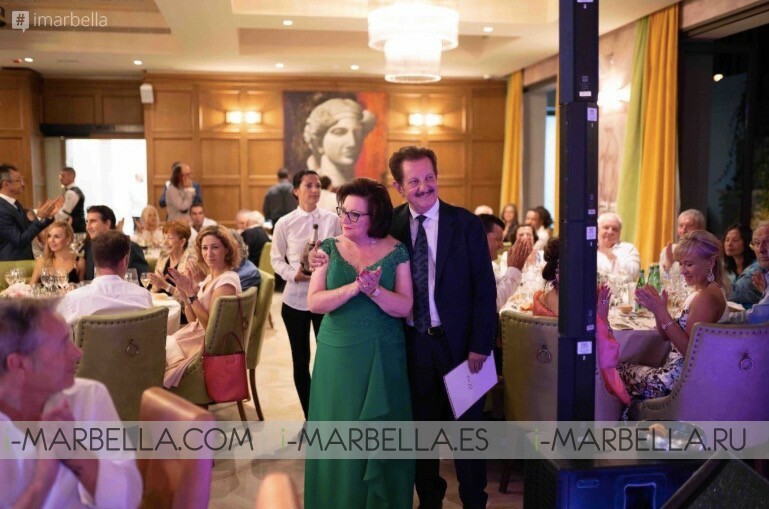 The 'two' hosts, Bruno and Giuseppina Filippone, were accompanied at such a special moment by their entire family as well as the Mayor of Marbella, Ángeles Muñoz; the Town Planning Councilor and Vice President of the Diputación de Málaga, Kika Caracuel; the Lieutenant Mayor of Las Chapas, Carlós Alcalá, Javier Martín, Head of the Local Police of Marbella. 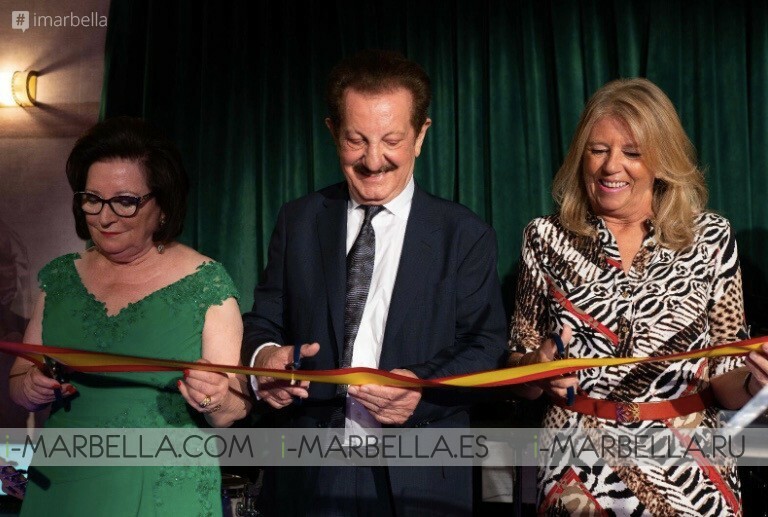 There were also other personalities from the social, cultural and business world of the Costa del Sol. 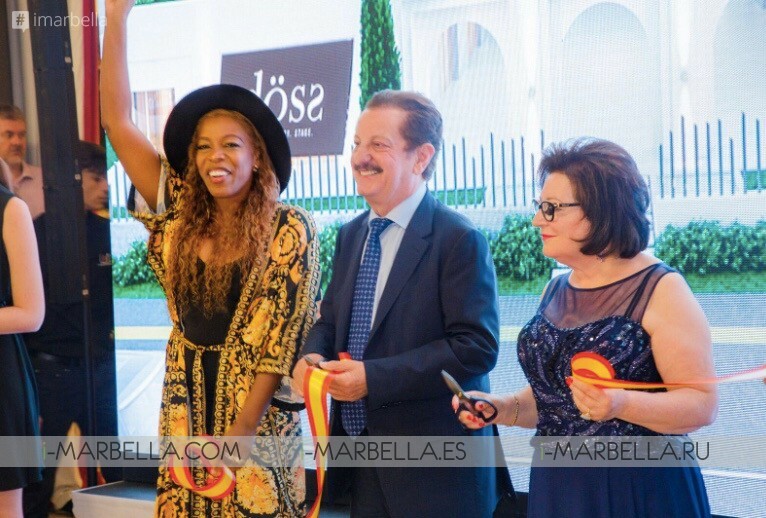 Bruno before the ribbon cutting ceremony in his acceptance speech said “With special affection, we want to express gratitude to Marbella mayor's attendance tonight”, “You might wonder why Döss? The word Döss for us defines this project that began with the illusion of two people, as well as all projects that we have undertaken and that without the support of my wife Giuseppina Filippone, this all would not be possible”. “Our hope in this new path that begins today will be complemented with new proposals for rooms for events, training school and courses. And finally this new concept is composed as well for the customers that are indeed an important part of us, we hope for all that you like”. 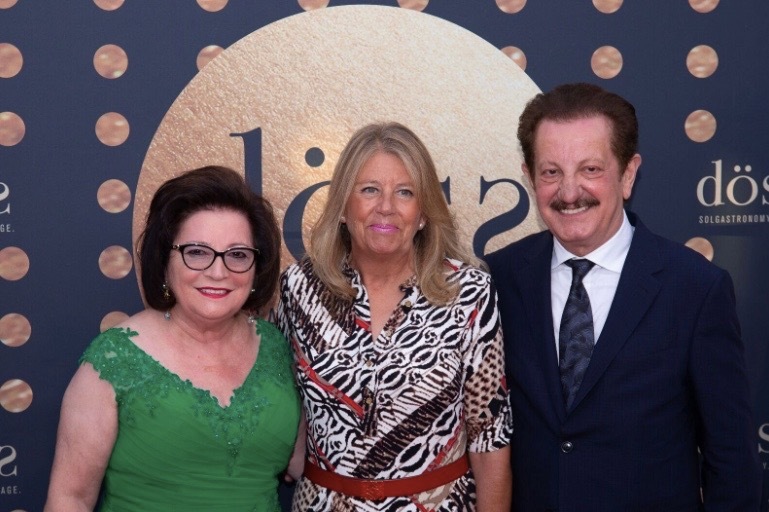 Both evenings the guests were entertained by the singer Yanela Brooks, who was accompanied by a cast of talented artists such as those presented at the Diego Catena Show, Pilar & Carlos, Fred & Gema; saxophonist, violist, etc. The döss concept has become the new brand of the company, a new notion of essential cuisine in the 21st century. In addition, customers who wish to book the rooms for banquets, presentations, etc., can also enjoy the spaces as well as the 'two' additional terraces on the top floor. During the 'two' opening evenings, the Executive Chef of döss, José Luis Alcántara and his team, offered a selection of delicacies from the two menus that can now be experienced at döss. It is a selection of textures, smells and flavors that fuse the best and most distinguished oriental and Mediterranean cuisine. Two spaces that lead us to two different gastronomic experiences. Created by two people, Bruno and Giuseppina, both passionate about flavors and exceptional service. Together they have formed döss Asiática and döss Mediterránea. Two unique restaurants dedicated to bringing you authentic Asian cuisine served with style and finesse, and a homage to the famed Mediterranean cuisine. Döss is open every day from 12 lunchtimes to 2 am in the morning.